Açıklama : Where do Geminid meteors come from? In terms of location on the sky, as the featured image composite beautifully demonstrates, the sand-sized bits of rock that create the streaks of the Geminid Meteor Shower appear to flow out from the constellation of Gemini. In terms of parent body, Solar System trajectories point to the asteroid 3200 Phaethon -- but this results in a bit of a mystery since that unusual object appears mostly dormant. Perhaps, 3200 Phaethon undergoes greater dust-liberating events than we know, but even if so, exactly what happens and why remains a riddle. 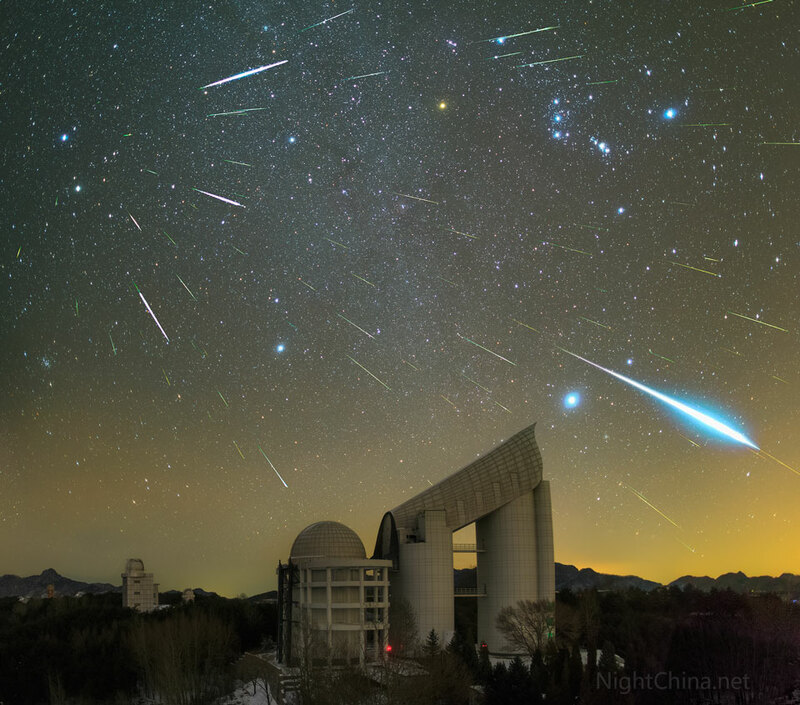 Peaking last week, over 50 meteors including a bright fireball were captured streaking above Xinglong Observatory in China. 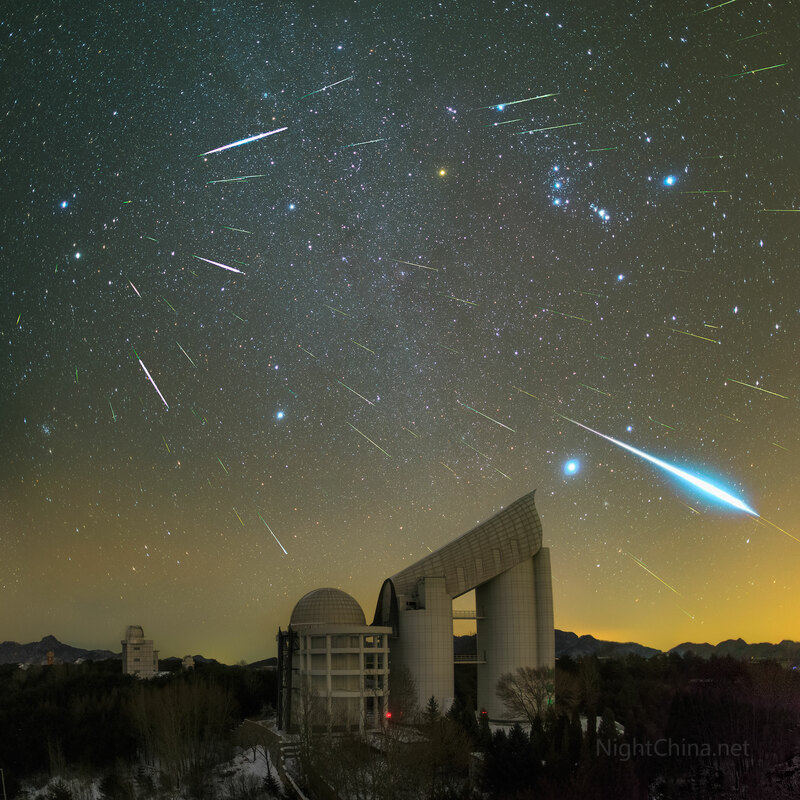 Since the Geminids of December are one of the most predictable and active meteor showers, investigations into details of its origin are likely to continue.